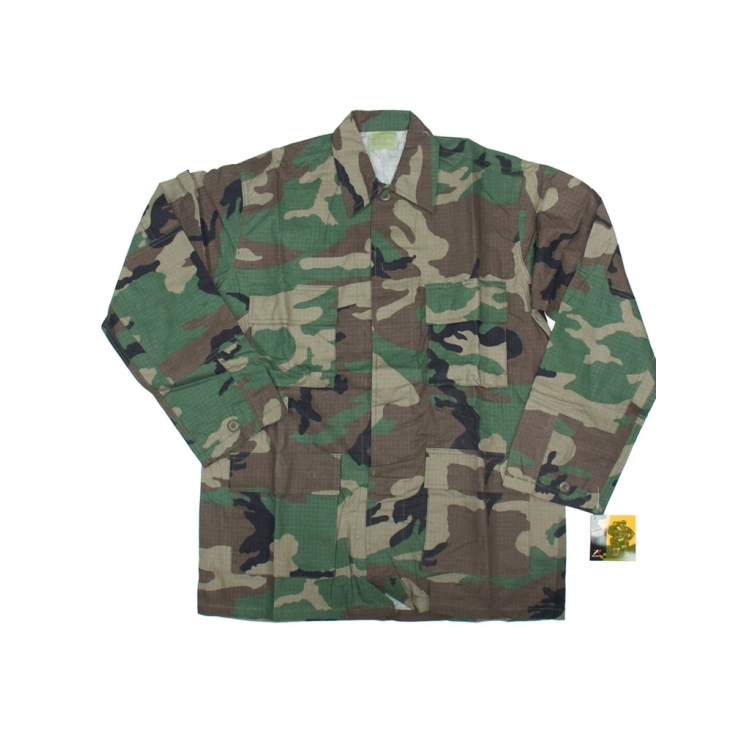 The Battle Dress Uniform (BDU) was the United States Armed Forces uniform that the armed forces used as their standard uniform for combat situations from 1981 to 2005. 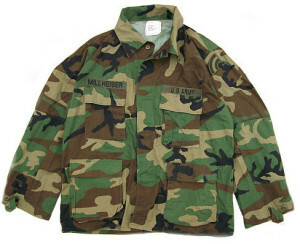 They were called battle dress uniforms because they were worn during battles. 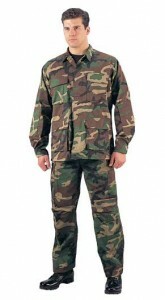 Battle Dress Uniforms were either plain colored or different patterns of camouflage. 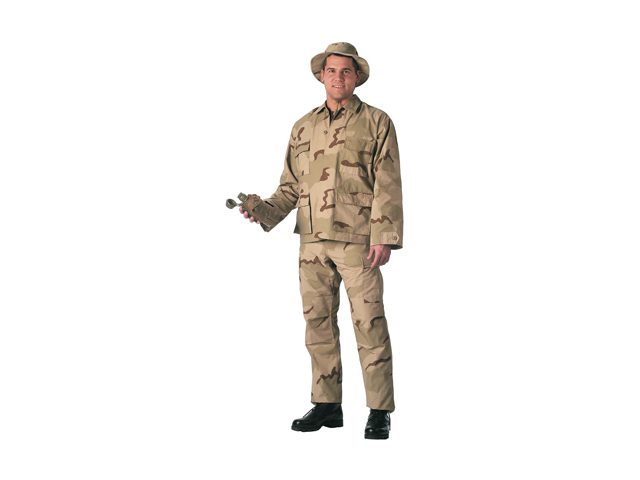 The camouflage battle dress uniform includes hat, trousers, and shirt. They are worn over a light brown shirt with a black web belt.